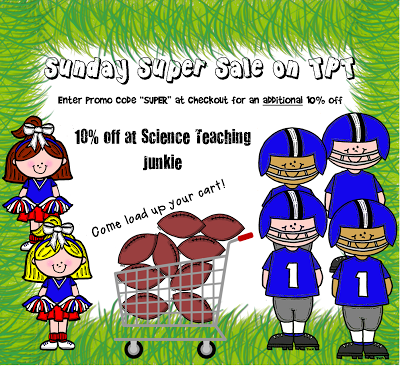 Science Teaching Junkie, Inc.: Sunday, Sunday, Sunday! Head on over to Teachers Pay Teachers and start filling up your cart because tomorrow is the Sunday SUPER Sale! I am offering 10% off everything at my store and when you enter the promo code "SUPER" at checkout, you receive an additional 10% your total. What a deal.